Once your personal and financial documentation is in order, you will then be prepared to view and select prospective apartments. Remember, your agent can provide you with a wealth of information to assist you in making an informed decision. Ask plenty of questions about neighborhoods, building types, publictransportation access, or anything else that might be of interest to you. Mitchell- I hope one day I have to consult you for tips on how to move into a Manhattan apartment!!!! 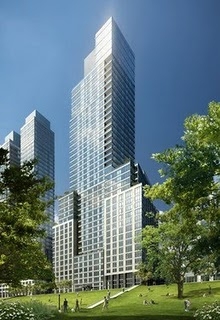 It's a dream of mine and my fiance's to own a place in NYC one day! Thank you for sharing. I enjoyed the read. It certainly is different that around Seacoast NH where I live. Ellen, Because it is so hard to evict here, they make it hard to get in. Rodney, For some consumers (those without income but assets) buying a condo is easier than renting. Melissa, Yes, some landlords may be more lenient usually small private owners. Michael, Thanks it's because of the difficult eviction process here. Patricia, You're welcome. New comers are often shocked. Students with no incomes will need parents on the lease. Robert, Thanks, Structure is needed because you have to move quick and be prepared because rentals go really quick. Hi Richie, Work is valued very high more than assets. I once had a client with no income/job but $900,000 in the bank. We had a tough time in several buildings. The landlords said she could go spend her savings on a car or boat. (I thought that was silly) They wouldn't accept 6 months or 1 years rent up front either because if they wanted to evict after a month they were stuck for a year. Mitchell - I felt like you were explaining the rental process here in San Francisco! Very similar as it also very difficult to evict tenants in this area. Great post and great information for newcomers. Have a great day and try to stay "cool" (you guys have had some really sticky days out there). Do you need to hire a lawyer for a lesae as if you buy/sell real estate in NY you have to have a lawyer invloved? Nice post Mitchell! Many years ago (10+) a friend moved to NYNY and said she had to pay $5K to an Agent to get a decent apartment. Is this still the way it works today? Barbara, Thanks, Tis the rental season! The rental market is very hot now! Robert, You don't need a lawyer for a lease as you do here to buy and sell. However, I know of a situation where the tenant had a lawyer write in the lease that it would automatically renew. The owner/landlord didn't notice it, signed it and now wants his condo back and can't get the tenant out. Naturally the broker is being sued. Adam, Thanks, Agents do have access to the best apartments. The brokerage fee is negotiable. The maximum is 15% of 1 years rent. It is often split between 2 brokers. In a tight rental market the landlords rarely pay the broker so the tenant pays. Hannah, Thanks, It is best for the renter to be qualified before they start looking. I was going to guess and say $1200. But I just did a quick search and found the cheapest apartment in Manhattan is in the Financial District (1 bedroom for $330) It must be a typo. Here is their website on the website the 1 bedroom is $2705. 500 listings came up under $2000. Features: AC: Central; Kitchen: Original Upgraded; Dishwasher; Bathroom: Original Upgraded; High Ceiling; High Ceilings; Parquet Floor. Congrats on the much-deserved Feature! Mitchell - I was curious what it might be like to rent a place in Manhattan and how it might vary from here. Great post, 40-45 times rent to annual income! Hi Erica, Thank you. I think my next post will be frequently asked questions about renting. Good luck to your friend's son. Hi Christine, We are still primarily a rental market. 75% of housing here is rentals. Hi Tony, If the tenant needs a parent as a guarantor on the lease the parents income has to be 80-85 times the rent. Some landlords will only allow a guarantor from the tri-state area. Mitchell, I always find it interesting to read about the rental process in other parts of the country...thanks for this primer on renting in Manhattan! Sorry it's so difficult to evict in New York. No wonder they make it tough to get in!